Desktop Alert have been deployed successfully in a wide variety of cases of which only few are showcased here. 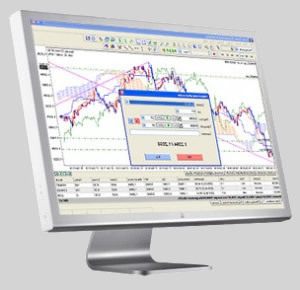 Alerts can deliver prompt trade signals to forex traders, they can be used to monitor web server outages, websites can use them to deliver their news and newsletters to their clients, banks can use them to deliver important information to the clients directly, individuals can use them to set personal reminders for important events. To deliver Timely Trade Signals from the Signal provider to the Trader. Custom Application which can show simultaneous signals within a very short time interval was developed for client end. Server end Control Panel was customized as Forex Signal Control Panel and all the tools were provided therein to manage the subscribers and send signals to them using both Automatic and Manual modes. API was also developed so that Forex Signals could be fed directly into the system thus delivering automatic alerts without human intervention. Failsafe were also employed to make sure that Admins get notices whenever there is some failure at the signal level or the delivery level. To deliver Immediate Outage Alert for any Web Server / Service to the Webmaster. Custom application was developed for webmaster to install on its desktop. Server Control Panel was customized to provide the System Alerts and Service Outage Style Templates so that webmaster can create the set of alerts which will be sent when any of the monitored Web Services / Servers are down. Notification is again sent when the affected service is restored. Further Integration was done in which an Outage Alert is also sent to the custom made script installed on monitored server so that the affected service can be restarted automatically even without the assistance of the webmaster. To deliver News and Messages from the Website to its Members. Custom Application with the website name, logo and url etc. was developed for client side. Server end Control Panel was customized to provide webmaster with wide variety of multimedia templates so as to make the creation of alert messages simpler. Full Audit Trail was maintained to enable webmaster to see exactly how many users received the message, how many read it, how many deleted it etc. 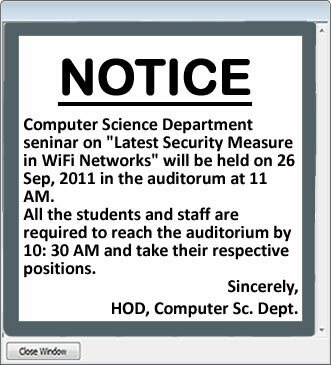 To deliver Personal Reminders to the User's Desktop at the specified Time. Custom Application was developed for User's Desktop based on User's preferences and Language. 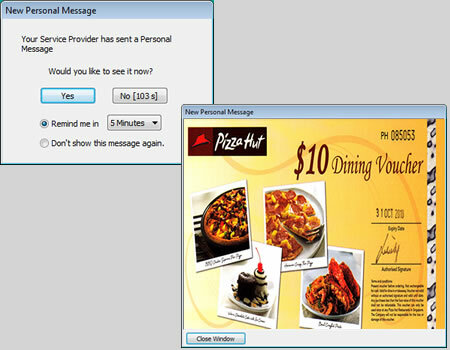 Custom Control Panel was developed with many easy to use Personal Templates to create the Personal Messages with Timestamps. 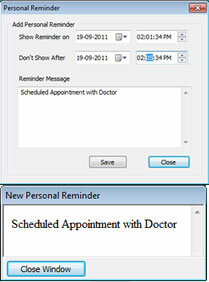 Alerts are automatically delivered at the specified date and time to the User's desktop. To deliver latest Promotional Offers to the User's Desktop along with coupon code. Custom Control Panel was developed to create the Coupon with Codes and Alerts with Timestamps. Custom Application was developed for each department and named as per the department name and also given a unique group code. Custom Application was developed for Desktop which doesn't allow any Snoozing or Offline option. That means application is always ready for emergency message. 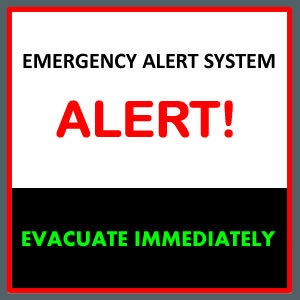 Custom Control Panel was developed so that emergency alert message is delivered with a Single click. Pre-Designed templates were made available in Control panel to use during different types of emergencies and responses required. Desktop and Mobile App were also made available in case Control Panel is out of reach at the time of emergency. Several Failsafe mechanisms were implemented so Redundancy is there in case the main network goes down.